Laurence J. Peter analysed hundreds of cases of occupational incompetence which led him to formulate The Peter Principle. The Peter Principle book is extremely humorous, a satirical model, it was first published in 1969. What is surprising is that many of us continue to experience the impact of occupational incompetence resulting from ridiculous promotion decisions. For those who experience the Peter Principle at work it is no laughing matter. Having worked in an organisation where incompetence permeated through many levels the impact on people and performance was devastating. In a hierarchy, employees tend to rise to a level of incompetence. When this happens, work is accomplished by those employees who have not yet reached their level of incompetence. The Cream Rises Until it Sours! The Peter Principle from competence to incompetence? When employees perform well in a position, they are eventually promoted with more responsibilities and challenges. If they perform well in that position, they proceed up the ladder to the next one. This process repeats over and over until people assume a position that presents challenges beyond their competence and that’s where they stay. They are rarely demoted since the rules make it very difficult to demote someone, even if that person would fit in much better and would be much happier in a lower level job. Lateral arabesque, (sideways move) giving an incompetent employee a longer title with less responsibility. This way the employee still feels important but is kept away from the coal face. Mathematics: Incompetence plus incompetence equals incompetence! Inversion – being promoted for sticking to the process despite the output of that process producing an inefficient service. This usually happens when a supervisor at his level of incompetence rates an employee in terms of supporting institutional values. The supervisor is blind to output because he evaluated input. Exfoliation: Where super competence is more objectionable than incompetence, so we simply slough it away, discard it. WHY? Probably because super competence exposes weakness in the hierarchy. Who should we promote to increase the efficiency in our organisation? Often the answer is based on the assumption that an employee who is competent at a given level will be competent also at a higher level of the hierarchy, it seems a good idea to promote the best employee from a lower level! Promotion decisions often place more weight on current performance than can be justified. Many organisations prioritise current job performance at the expense of other observable characteristics and competencies that better predict performance aligned to the current and future requirements of the new role. 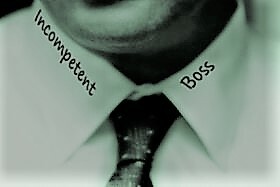 The assumption that the role requires a higher level of competence, when in reality, it requires different competencies places people in positions where incompetence becomes immediately apparent. A reliance on generic competency statements that describe one best way fail to take context into account. Competency based approaches can also fail to account for future technical skills requirements. Often the rapid pace of change makes certainty about future skills just too hard to anticipate. So, we focus on what endures rather than what is likely to be displaced. Gately found that employers can avoid the Peter Principle if employees are judged on technical merit and accomplishment, and that promotions go to the technically proficient and verbally expressive employees, while the less technically proficient and verbally expressive wait their turn. Over the past 12 months I have witnessed the most bizarre criteria to support promotion decisions that lead me to believe incompetence, lack of common sense and failure to hold those accountable for fatally flawed decisions is quite common. Potentially the worst of all is a sentence uttered to me by a manager in response to questions about the consistent incompetence of an individual. “she was judged worthy of promotion based on appearance. It was one step too far”! Fine feathers don’t make fine birds!